Healing Waters Lodge invites you to visit the Gallery on our website: hwlodge.com where you can find photographs of what the Lodge has to offer and what you can expect on our Smith River float trip. Then call 406-459-2030. 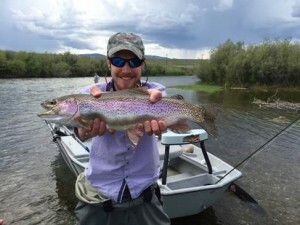 Mike Geary is glued to his phone 24/7 and would love to talk to you about making your fly fishing dreams come true!